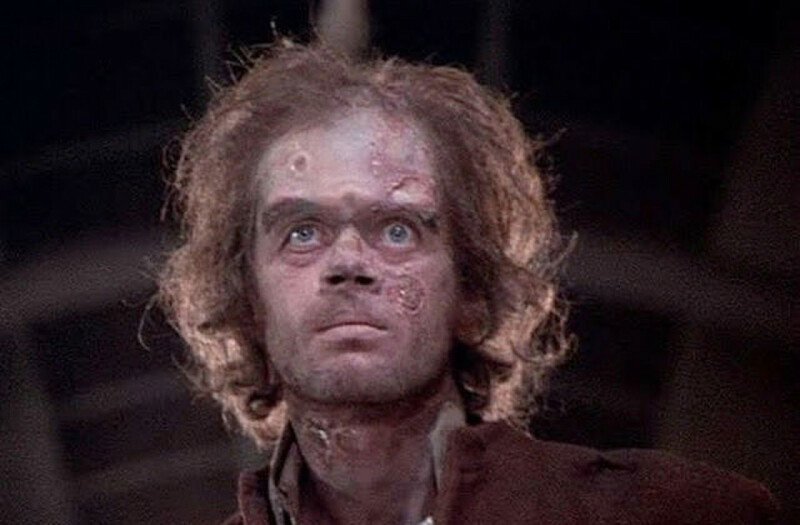 Director – Jack Smight, Screenplay – Don Bachardy & Christopher Isherwood, Based on the Novel Frankenstein by Mary Shelley, Producer – Hunt Stromberg Jr, Photography – Arthur Ibbetson, Music – Gil Melle, Special Effects – Roy Whybrow, Makeup – Roy Ashton, Production Design – Wilfred Shingleton. Production Company – Universal. After the death of his younger brother William, medical student Victor Frankenstein determines to find a way of reviving the dead. Fellow doctor Henry Clerval shows him a means of reanimating a severed arm with the use of solar energy. Obsessed, Frankenstein joins Clerval in building a handsome creature that they piece together from the bodies of several workmen killed in a quarry accident. After Clerval dies of a heart attack, Frankenstein places his brain inside the creature and brings it to life. He is amazed at the creature’s intelligence – although the process soon begins to reverse itself and the creature’s body degenerates. The creature falls into despair and tries to kill itself but finds that it cannot, that it is invulnerable. The creature is found by Clerval’s teacher, the crippled Dr Polidori, who forces Frankenstein into helping create an Eve for it. Frankenstein builds the beautiful Prima. However, after Frankenstein introduces her to high society, the creature exacts a disastrous revenge on them, killing her. Frankenstein flees aboard a ship but the creature pursues him up into the Arctic determined to kill him. The subtitle ‘the true story’ is wholly contentious but this classy, literate television production is a commendable attempt to sidestep the previous cinematic interpretations of the Frankenstein story – respectively Universal’s Frankenstein (1931) and Hammer’s The Curse of Frankenstein (1957) – and return to the story that Mary Shelley wrote. Frankenstein: The True Story is not particularly close to the Mary Shelley book, but the film does bring in many aspects that have been dropped from other versions of the story – the climactic pursuit into the Arctic, and most importantly the intelligent (as opposed to dumb and brutish) creature and his relationship with his creator, and the levels of Biblical metaphor. The film also borrows strongly from Bride of Frankenstein (1935) – it includes an equivalent of the Pretorius character (who is now named Dr Polidori after Lord Byron’s physician, who was also present at the famous Villa Deodati writer’s workshop of 1816 where Mary Shelley received her inspiration to write the book) and his blackmailing plans for a female creation, as well as the violin-playing blind hermit. Jack Smight’s direction lags at times but there a number of strong sequences, especially the scene where the monster invades a ball and rips the female creation’s head off. It is mounted in lavish period style. Particularly good is the rooting of the film inside the historically accurate charnel houses and the appalling sanitary conditions of the hospitals of the period. Although the use of solar power rather than electricity seems an overly strained attempt to avoid the cliches of electric storm resurrections from previous films. The impressive cast list manages to unite the cream of the British Screen Actors Guild, including the likes of Ralph Richardson, John Gielgud, David McCallum and a young Jane Seymour. 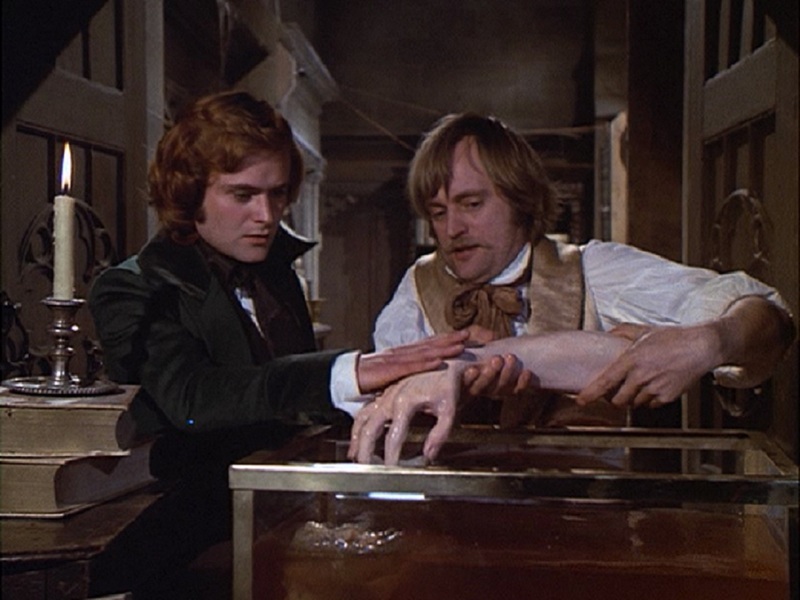 Leonard Whiting, while rather weak-jawed, projects great idealistic drive and intensity as Frankenstein. Nicola Pagett gives a moralistic strength of character to Elizabeth. The standout however is James Mason’s glitteringly megalomaniacal performance as Dr Polidori. 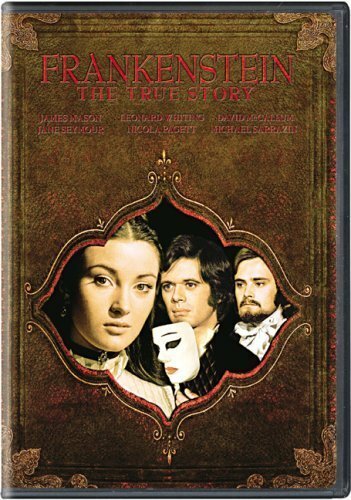 On tv, Frankenstein: The True Story aired as a 175 minute production, which is usually screened in two two-hour parts. The film was also released to cinemas in a 123 minute print, which curtails much of the storyline and was poorly received by critics at the time. Celebrated novelist Christopher Isherwood, best known for the autobiographical stories that formed the basis of Cabaret (1972), was not at all happy at the way his and Don Bachardy’s script was treated by Jack Smight and the producers and they published their own version of the screenplay in book form as Dr Frankenstein (1973). The other versions of the Frankenstein story are:– Frankenstein (1910), the silent Thomas Edison short; Frankenstein (1931), Universal’s classic James Whale adaptation starring Boris Karloff; The Curse of Frankenstein (1957), Hammer’s classic adaptation with Peter Cushing and Christopher Lee; The Horror of Frankenstein (1970), Hammer’s lame comedy remake; Dan Curtis’s tv adaptation Frankenstein (1973); the Swedish-Irish production Victor Frankenstein (1977); Frankenstein (1992), David Wickes’ dreary tv adaptation with Patrick Bergin and Randy Quaid; Kenneth Branagh’s Mary Shelley’s Frankenstein (1994) with Robert De Niro; the tv mini-series Frankenstein (2004) with Alec Newman as Frankenstein and Luke Goss as the monster; Danny Boyle’s stage version of Frankenstein (2011) with Benedict Cumberbatch and Jonny Lee Miller alternating the role of Frankenstein and creation; and Victor Frankenstein (2015) with James McAvoy as Frankenstein. Jack Smight is a director who has made some occasional genre forays including the Ray Bradbury adaptation The Illustrated Man (1969), the serial killer black comedy No Way to Treat a Lady (1968), the Ray Bradbury adaptation The Screaming Woman (tv, 1972) and the post-holocaust film Damnation Alley (1977). Smight is probably best otherwise known for the Paul Newman thriller Harper (1966) and big-budget films of the 1970s such as Airport 1975 (1974) and Midway (1977).